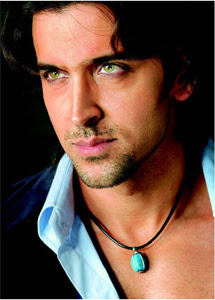 Is Hritik Roshan, Next Hollywood Superstar?? Brillstein-Grey Entertainment, Brad Pitt's management firm for 25 years, has recently made an offer to India's heartthrob Hrithik Roshan to represent him in Hollywood. And he has accepted it. "Hrithik is not in negotiations yet to do any film... but currently reviewing abundance of screen plays constantly sent to him by his new managers in Hollywood for his debut project, he is taking his time and being selective to ensure the quality of his debut film," said Hrithik's spokesperson from the US in a press release. Brillstein-Grey is an industry powerhouse that represents A-list stars such as Brad Pitt, Natalie Portman, Adam Sandler, and Nicolas Cage and has produced successful films like "Troy" and "The Chocolate Factory", in addition to critically acclaimed TV shows "The Sopranos". The Indian superhero - approached several times by other Hollywood firms to act in films like "Pink Panther 2", which he refused - has agreed to pursue Brillstein-Grey's offers to lead him to a higher platform. Jai Khanna, Hrithik's international manager from Brillstein-Grey, said: "We are thrilled to be working with such an international star. As an icon of masculinity and powerful character, he (Hrithik) truly embodies the star quality of cinema's great leading men. "Audiences have repeatedly flocked to his films throughout India, Asia and a number of other countries. We are excited to now introduce Hrithik to the US, thus giving his unique talents a much larger platform."